During any routine call for assistance to the Small Business Development Center at The University of West Alabama, we are confronted with the question of “how likely is it for an individual with a small business idea to realize their dream of becoming an entrepreneur?” The answer to that question depends on some unique underlying circumstances. First, as we look at the economic downturn and the effect it had on small business start-ups and growth in rural counties, one would have to wonder has economic recovery really occurred in rural Alabama? According to statistics from 2010 through 2014, U.S. counties with 100,000 or fewer residents combined continues to lose more businesses than they created. Some evidence of economic recovery in other areas include a growing national economy and falling unemployment rate. But has this recovery reached rural areas? A random visit to many of the smallest rural areas in the Black Belt of West Alabama offers a resounding “No” to that question. The number three top issue facing Alabama, according to the Center for Business and Economic Research, Culverhouse College of Commerce at The University of Alabama are economic and business growth and small business development. Although this is true throughout the state, it is more prevalent in rural Alabama. I see this first hand as many small businesses are still closing their doors and current lending numbers in rural areas show that many lending institutions are not making small business start-up loans. In many areas the number of small business loans being made remain below that of pre-recession numbers. Even in a climate where some small banks and online lenders are popular in other areas, that is not the case in rural Alabama. According to research and data from the Small Business Credit Survey (SBCS), traditional bank lending continues to be the primary source of financing for small businesses. Most rural areas do not have the luxury of large banks. The experience with smaller local banks is that they only are able to approve some of the credit applicants request for financing. Small banks approved about 76%, while large banks approved 58%. Online lending is trickling to rural areas very slowly. In larger areas individuals are successful in obtaining online financing, however many are not satisfied with their online experience. The SBCS’s disclaimer is that this information is a random sample; therefore, the results should be viewed as suggestive. However, this information supports the trends seen in rural Alabama. According to Gary D. Halbert in his Forecasts Trends E-Letter, he sheds some light and offer an answer posed in our topic, Can Mom and Pop Shops Thrive again in Small Town Alabama? In the E-Letter, Mr. Halbert shares, “that according to the Economic Innovation Group (EIG) study based on recent US Census Bureau data most of the new businesses that started up concentrated mainly in large metro areas on the East and West Coast and in Texas, as opposed to rural America. Half of the new business start-ups were concentrated in just twenty large counties across the U.S. The question as to why this was the case seems to be that the most successful start-ups are high-tech ventures that need higher educated workers and those workers are increasingly living in larger cities.” According to Forcast Trends the U.S. economy has been in “recovery” since early 2009, this rebound has been very weak with GDP growth averaging only about 2% since that time. This slower growth explains in part why annual business failures have continued to outpace new business creations. Which leads into our discussion here, bad news for small towns and rural America. Some of this can also be contributed to big box retailers, loss of manufacturing job across the country, and the lack of access to capital in rural areas. Mr. William “Bill” Cummins, Executive State Director for the Alabama Small Business Development Center Network (ASBDC), shared an article with me, from The Washington Post, wonkblog is entitled “A very bad sign for all but America’s biggest cities.” It looks at the fate of small businesses in rural America and goes on to explain how Americans in small counties are much less likely to start new businesses, a trend that jeopardizes the economic future of vast swaths of the country. The data presented suggests that highly populated areas are not adding start-ups faster now than they did in the past; they appear simply to be treading water. But rural areas have seen their business formation and new business creation fall off a cliff. Two of the metrics that the ASBDC Network track is that of new business creation and capital infusion. It is often suggested by Mr. Cummins that when we review the ASBDC scorecard, “If Donald was allowed to count trees or cattle they would be fine!” Unfortunately, that is not the case our metrics are counted just as all the other SBDC’s in the State and when it comes to new business creation and capital infusion over the past nine years I have witnessed a steady decline. So to answer the question posed here, “From Recovery to Re-discovery, Can Mom and Pop Shops Thrive again in Small Town Alabama? I have to be optimistic and offer one success story that will allow you to answer that question. In a small rural town, Jefferson, in West Alabama there is a small country store that sits on Highway 28 between the towns of Demopolis, Alabama and Linden, AL the Jefferson Country Store. The owners of the story had successfully operated the small business for years and decided that due to their age they would close the store. The closing of the store had a drastic impact on the small community. Not only was it the only place they could pick up grocery items within a 15 to 20 mile radius in either direction, but it also served as the local Post Office. A young lady who was very familiar with the impact of the country store and the affect its closing had on the community decided she would lease building from her uncle and aunt and reopen the store. With much determination and dedication she successfully achieved this undertaking with little support from local lending institutions. 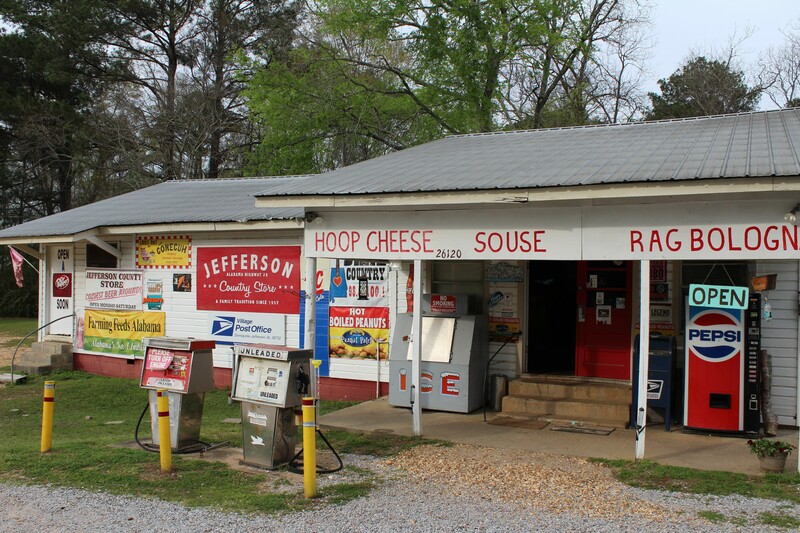 Every time I stop through to purchase a cold soda, some hoop cheese, hog head cheese ‘souse,’ I am encouraged and inspired that with the proper resources and support there yet might be hope for small businesses in rural Alabama. Do nald R. Mills, is Director of the Small Business Development Center at the University of West Alabama and Chairman of the Alabama Black Belt Commission’s Small Business Committee.